I'm contrived of ones and zeros. DUH!!! More shows will be announced in a couple weeks so follow our Twittas and Facebooks for more info. We also now have an Instagrams if you're into flyers and cats! Thank you to all who came to see us at Fest!!!! If you couldn't get in to see us and happen to live in the Tri-State area, we have 2 upcoming shows in NY and NJ!!! Dec 6th on Long Island at Amityville Music Hall with our good friends in Everything Ever, Romp, and Casanova. 6pm, 16+, $10-12. Dec 12th in New Brunswick, NJ at Astrolounge with our buddies in Survay Says and The Best of the Worst!! 6pm, All Ages!!!! $5-7. Hey y'all! Brighter Days is finally out and available for purchase/download stream!! Below are some links where you can download/stream it! 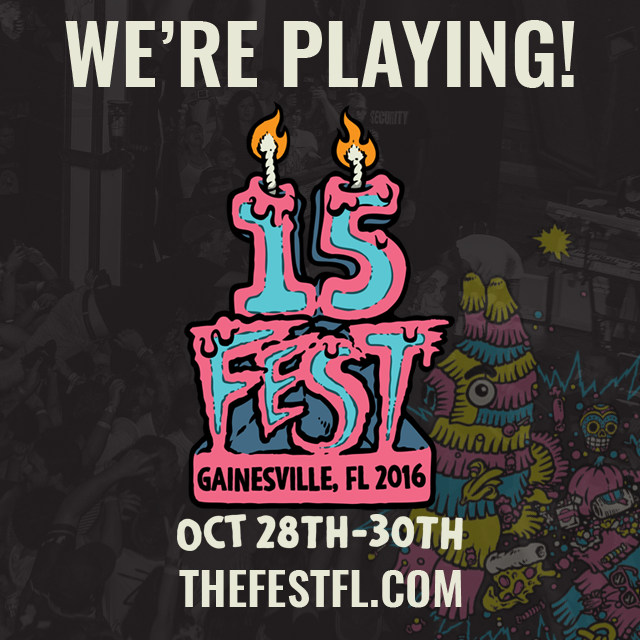 And come check us out at The Fest at Durty Nelly's on Oct 31st, at 6:20pm! Recorded at Cellar Door Studio July 9th-14th and Really Records July 16th & 22nd.